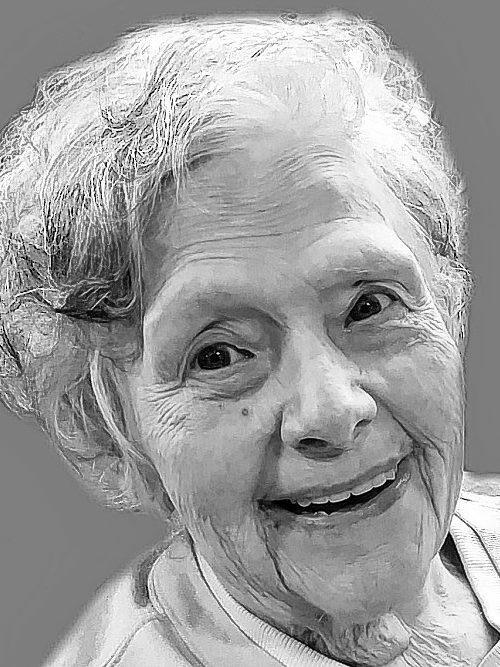 January 27, 2019, age 87; beloved wife of the late David M. Black; devoted mother of Pamela Robertson and Vanessa Robertson; dear stepmother of David Jr. (Betsy) Black, Deidra (Jeffrey) Wilson and Daniel (James) Black; also survived by many step-grandchildren, step-great-grandchildren and cousins. The family will be present Wednesday from 2-4 and 6-8 PM at the (Tonawanda Chapel) AMIGONE FUNERAL HOME, INC., 2600 Sheridan Dr. (at Parker Blvd.). Family and friends are invited Thursday at 11 AM to attend a Funeral Service celebrated at St. Bartholomew Anglican Church, 2368 Eggert Rd, Tonawanda, NY 14150. Interment to immediately follow in Woodlawn Cemetery, Orchard Park, NY. Share condolences online at www.AMIGONE.com.